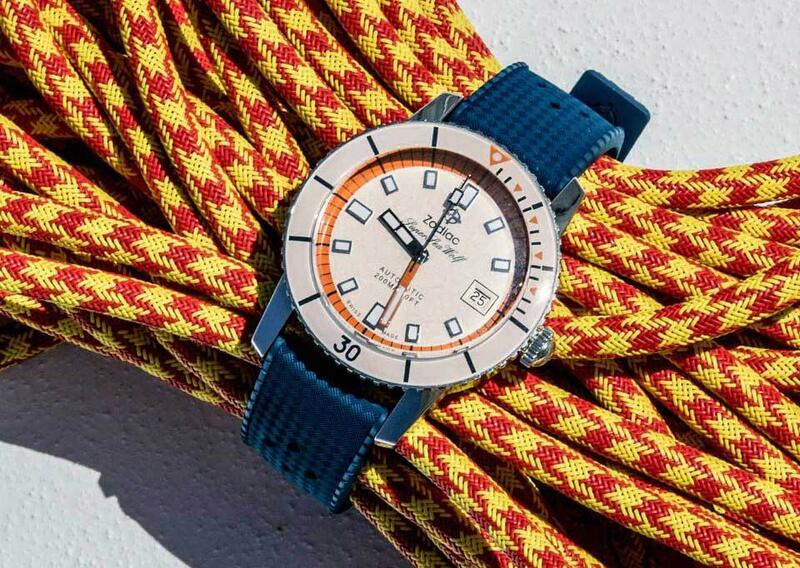 A specialist in the production of diver’s watches, Zodiac has released two new Super Sea Wolf Automatic models characterized by bright colours and water resistance to 200 metres / 660 feet. 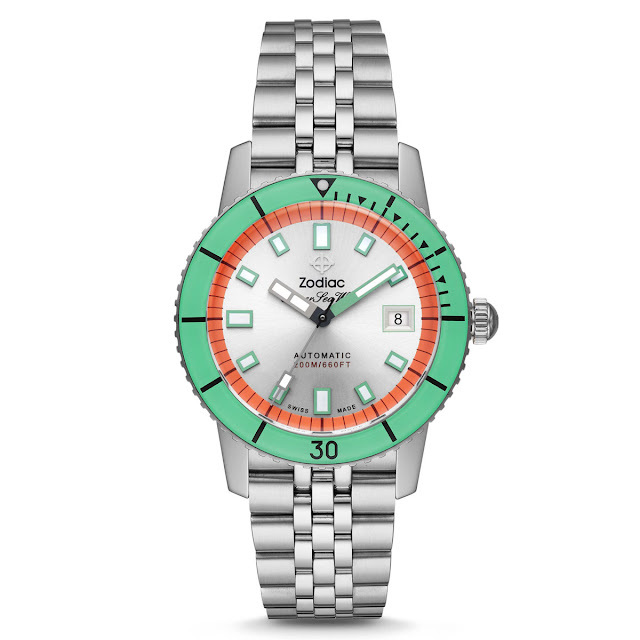 The new watches are presented in 40 mm stainless steel cases with uni-directional mineral crystal toprings to frame clearly readable dials enhanced by C3 Super-LumiNova-coated hands and indexes. The sapphire crystal is treated with an anti-reflective coating. 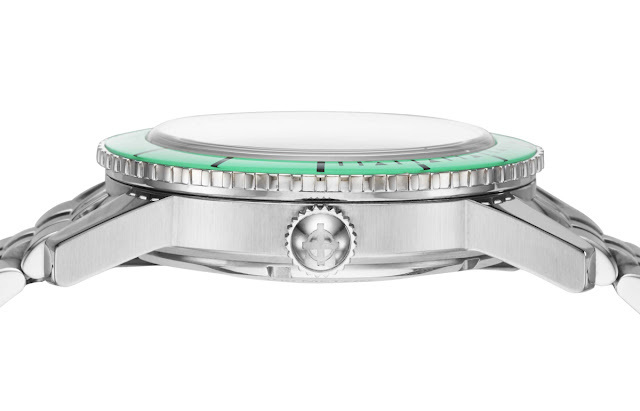 The Super Sea Wolf Automatic ZO9269 features an orange and silver sunray dial with an unconventional mint green used for crystal topring, minutes hand and indexes. 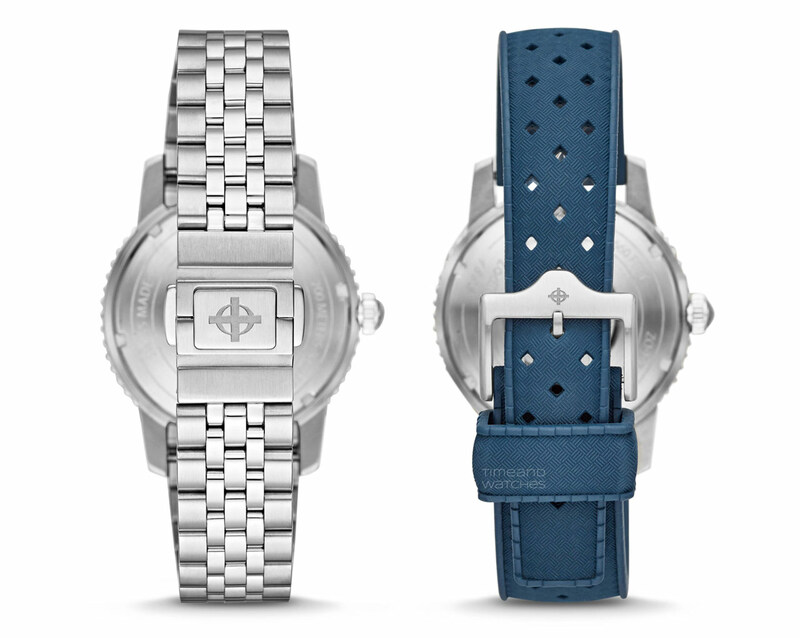 It is matched to a stainless steel 5-link bracelet with a deployant clasp. The Super Sea Wolf Automatic ZO9270 combines the orange and white matte dial with a white crystal topring. For this model, Zodiac chose a matte blue rubber strap. The movement of choice for both references is the STP (Swiss Technology Production) 3-13 automatic movement with date at 3 o’clock, stop seconds and swan neck system. 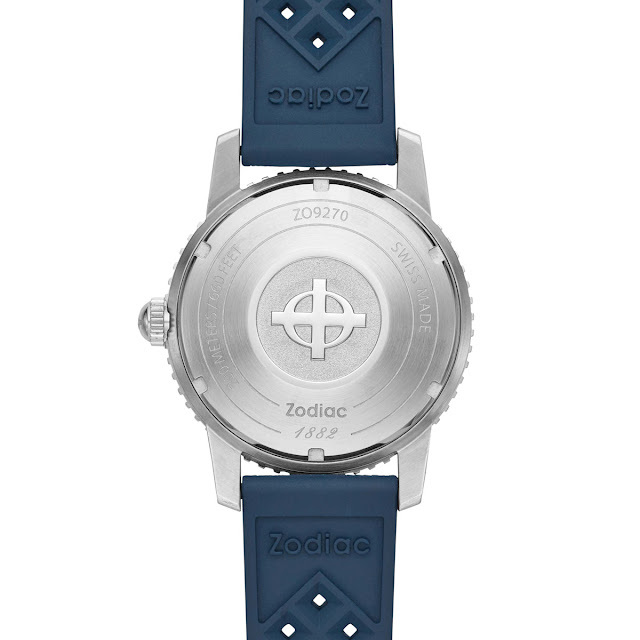 Protected by a solid case back decorated with the Zodiac logo and beating at 28,800 vibrations per hour, this anti-shock movement offers 44 hours of power reserve. 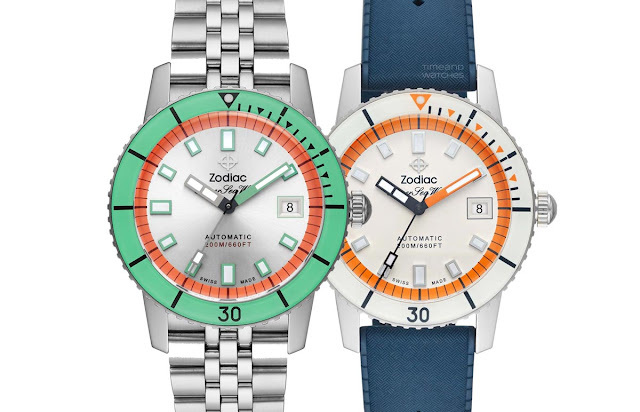 A specialist in the production of diver’s watches, Zodiac has released two new Super Sea Wolf Automatic models, ref. ZO9269 and ZO9270, characterized by bright colours and water resistance to 20 ATM. 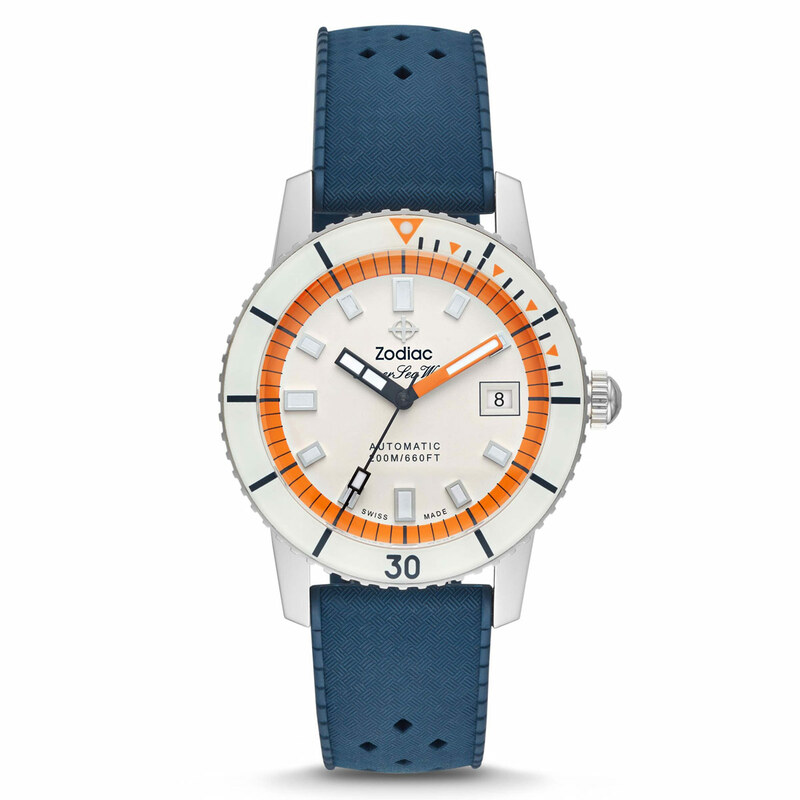 Prices and specs.